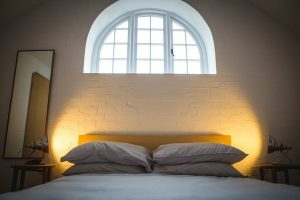 Inspired by its history and beautiful country setting, The Engine House is now a welcoming retreat. 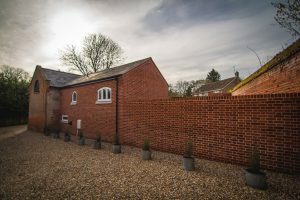 Based in Suffolk award-wining Seamans Building have an eye for style and craftsmanship; developing a wealth of properties throughout East Anglia and the home counties, from conservation projects to extensions and new builds, they are one of our local business success stories. Well known for creating desirable homes in prime residential areas, their mix of materials from flint to traditional brickwork really adds a sense of place to homes, anchoring them in the locality; whilst their striking modern mix of steel cladding, feature glass walls and state-of-the-art energy efficient homes show-cases the breadth of their exceptional skillset. Remodelling existing structures, to create modern homes of distinction with character and comfortable living space for today’s lifestyle is a popular theme; with Seamans Building offering clients a bespoke design and build service, from initial planning to completed home. 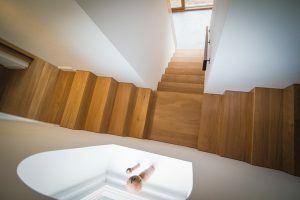 A recent project: The Engine House, is nestled in what was once a large Suffolk country estate. An industrial single storey building it required vision and sympathetic renovation to enhance and celebrate the property’s weathered Victorian provenance. A neglected building site waiting for inspiration the building stood derelict for many years, with trees and ivy invading the brickwork. However, the structure was generally sound, with Victorian red brick walls and slate tiles. The Engine House was recorded as housing a Hornsby 18-20 HP oil engine and Taunton Dynamo for electricity generation, thankfully, long since removed! Passionate about retaining the character and look of the existing industrial structure the owners welcomed traditional skills. The property offered interesting features and a vaulted interior to create a welcoming home. The scheme included retaining the existing parapet walls, conserving the years of weathering to allow the character of the building’s age to be revealed against a new sympathetically constructed extension, where a previous abutting building had been demolished. The original Engine House interior was a double height open space with exposed beams and a rough painted brick finish. A series of extensive refurbishment to include underpinning, new cavity brick walls to mimic the rough quality of the original brickwork, insulation, a new single storey extension, a first-floor mezzanine, and replacement double-glazed windows (following the heritage style) together with central heating, electrics, redecoration and careful renovation of the existing exposed beams and rafters. 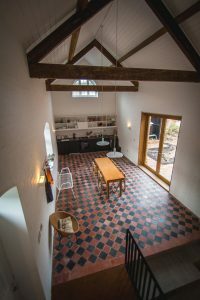 Inspired by the heritage of the site The Engine House is now a welcoming country home with a feature reclaimed terracotta tiled floor throughout, a balconied first floor master bedroom overlooking the double height vaulted live-in contemporary kitchen and family room with steps down to a cosy snug with log burner. There are a further two bedrooms in the sympathetic extension, and two bathrooms. The property benefits from feature bifold doors opening onto the sunny walled garden, an ideal entertaining space. The high level of finish and quality build is evident throughout, retaining the property’s character, formed by over a century of neglect: from its weathered lichen covered brickwork to the high-spec bathrooms and modern kitchen. 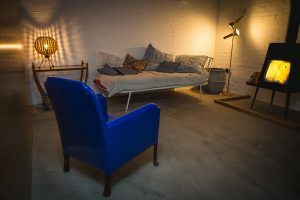 The Engine House is now an idyllic renovated rural escape with light-filled rooms and creative touches. Thinking of transforming your home? 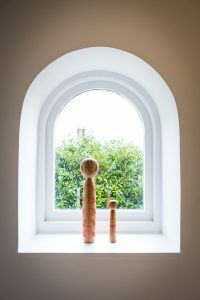 From small extensions or alterations to large development schemes Seamans Building have won national accolades, proving their craftsmanship approach is continually adding value to their client’s projects. Seamans Building are featured in The Suffolk Resident Magazine Property section. This entry was posted in News and tagged building site, design and build, extension, grand design, heritage project, home design, Property, remodelling, renovated home, renovation, rural escape, suffolk, The Suffolk Resident Magazine on 10th March 2018 by Penny.